Nowadays life is hectic, demanding and more and more stressful. Such a lifestyle makes us devote less and less time and attention to preparing meals and providing for their complexity and variety. This may cause obesity and the related cardiovascular disorders, as well as, quite commonly, mental discomfort due to awkward figure and low physical fitness of the body. Inadequate diet, combined with impoverished food and its genetic modifications, enhances the demand of human body for food supplements. For those reasons, the unorganised and still developing market of supplements and low-fat food products is one of the most prospective investment areas which has been confirmed by examples from many Western European countries. VITAMIN SHOP® provides professional response to the growing market demand, at the same time offering excellent opportunities to organise and achieve the commercial success. VITAMIN SHOP® is the first and the biggest chain of shops offering low-fat food products in Europe which, owing to excellent idea, adequate concept and consequent action, has become one of the most dynamically developing franchise systems. 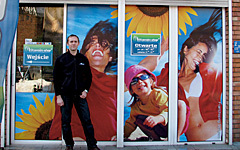 The best and the most experienced specialists in production and sales of diet supplements have been involved in development of the action plan, strategy and brand image, operating model as well as in selection of the assortment.The arrangement and aesthetics of VITAMIN SHOP® chain have been designed by visual artists as well as marketing experts in retail sales, consequently, the shops are visually attractive and eagerly visited by ordinary Clients, not necessarily those physically active. 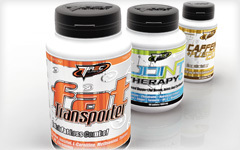 The target Client groups of VITAMIN SHOP® comprise professionally active people of middle and upper class with permanent income as well as people actively involved in sports.The research conducted nowadays concerning consumers' lifestyle confirms that the group of people willing to have active influence on their own health, body and well-being through appropriate life style and adequate supplementation is growing dynamically.